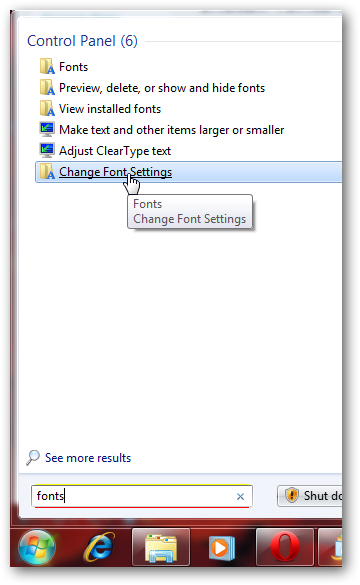 It is a new feature that incorporates in Microsoft Windows 7, you can install fonts using a shortcut. The advantage of installing fonts in the form of shortcuts is that, we can use hundred of fonts very easily, without complicating the situation of installing hundreds of fonts. Got a bit confused? 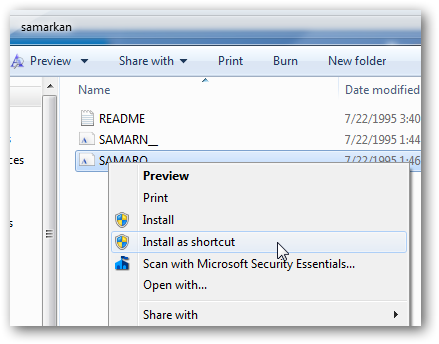 Ok, just follow this tutorial how to install fonts as shortcut in Windows 7. Now, go to the folder, where you have downloaded the fonts. You can get lot of fonts for free from dafont.com. We are showing the example with the Font named “Samarkan” which is a Hindi looking font. 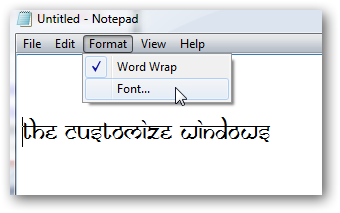 After a moment, the source is available as a shortcut, check it from any program, such as Notepad. This Article Has Been Shared 3898 Times! A laptop running Windows 7 can be configured to go to Sleep, Hibernate or even shutdown upon closing the lid of the laptop without the need to click start button and selecting from the button there. In Microsoft Windows 7, you can check the Internet bandwidth usage by any particular program like email clients,Browsers or messengers. Here is a tutorial on how you can do it. WHERE ARE THE LINKS TO DOWNLOAD FONTS?? Kindly do not post with all caps. It is considered to be a bad behavior on Internet as it stands for, the person is shouting at others. We have not promised to give download link to any fonts – the topic is completely different. Though there is a link to font.com within the text. Thanks alot for above information. its very useful n easy to use. 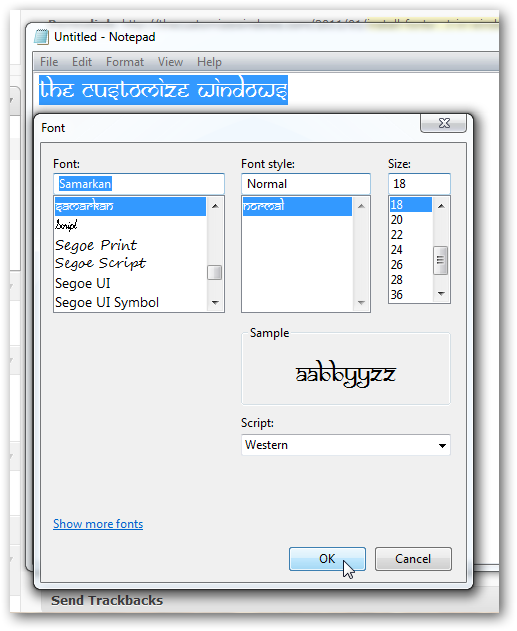 Cite this article as: Abhishek Ghosh, "Install fonts using shortcut in Windows 7," in The Customize Windows, January 12, 2011, April 21, 2019, https://thecustomizewindows.com/2011/01/install-fonts-using-shortcut-in-windows-7/.